8x10 black and white Packard Co. file photograph of a 1929 Packard right side view, male driver, mountains in background. 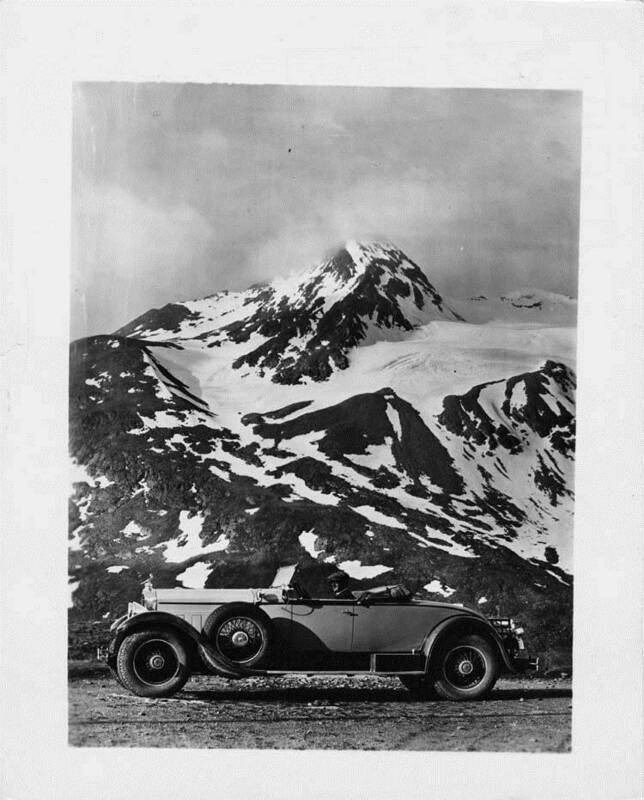 Inscribed on photo back; Packard 645, deluxe eight, sixth series, 8-cylinder, 106-horsepower, 145.5-inch wheelbase, 2/4-person runabout (body style #372), body by Dietrich, setting Alps Switzerland, at wheel Werner Risch, Swiss distributor for Packard. Photo courtesy of the Detroit Public Library, National Automotive History Collection and used with permission.